Austin has a booming art scene as well as a number of nationally recognized museums. With Austin Museum Day approaching on September 23, 2018, visitors should expect nothing but the best. This year, Austin&apos;s museum community will be celebrating its historic and artistic pride with free admission to more than 45 participating museums in the area. So, no matter what you&apos;re into, you’ll be able to find a spot to explore in this list of Austin’s highlights. Be sure to check out Museum Day&apos;s calendar for participating locations, but remember these gems are available year-round for visitors and locals alike! The Contemporary Austin Betty and Edward Marcus Sculpture Park at Laguna Gloria. Credit Brian Fitzsimmons. 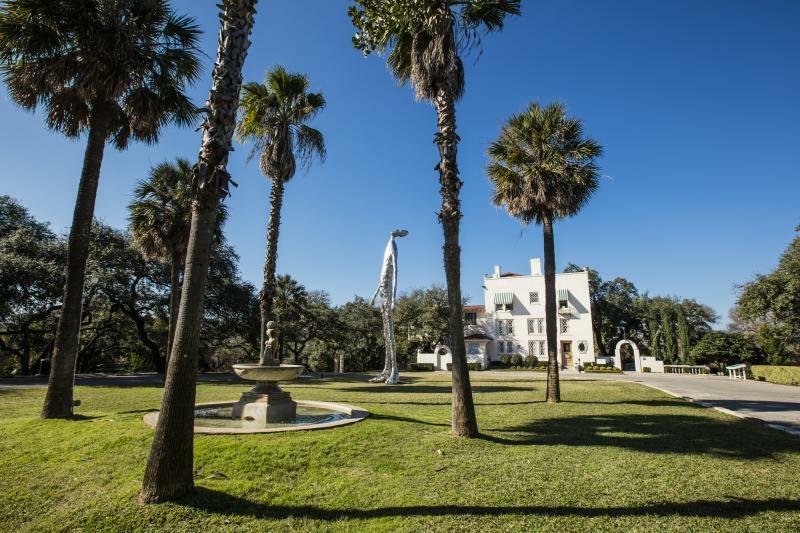 A must-see is The Contemporary Austin - Laguna Gloria, an outdoor sculpture park and museum that brings multidisciplinary exhibitions, engaging programs and enticing special events to the city&apos;s art landscape. Also be sure to stop by the Mexic-Arte Museum, which showcases the art and culture of Mexico. Here, you’ll find exhibits that feature traditional and contemporary Mexican, Latino and Latin American works. The Blanton Museum of Art at The University of Texas at Austin is not only one of the best university art museums in the country, but it also has the largest and most comprehensive collection in Central Texas, and includes more than 18,000 works. Home to the iconic "Austin" by Ellsworth Kelly, the Blanton is known for its European paintings, and modern and contemporary American and Latin American art, and is a landmark for any art aficionado. UMLAUF Sculpture Garden & Museum is a perfect blend of all things Austin: amazing local art casually set in a lush garden of local native Texas plants. There are over 54 works of art to tour along with the new opening of UMLAUF Prize winner, Shanie Tomassini, exhibition (on view September 6, 2018 – November 5, 2018). Another option is the South Austin Popular Culture Center (SouthPop), which features vintage posters and live music ephemera from the 1960s. They aim to educate the future generations on the rich and unique culture that makes Austin the Live Music Capital of the World. A rare surviving example of Austin&apos;s earliest history, The Neill-Cochran House, was built in 1855. This impressive Greek Revival house offers visitors an inside look into the lives of Austinites from the mid-19th through early 20th centuries such as the upcoming exhibit Through Her Eyes: The Impressionist Work of Anna Stanley (on view September 5, 2018 – December 21, 2018). Women and Their Work Gallery, located in the heart of downtown, serves as a place where contemporary art created by Texas women can be featured in exhibitions, performances and workshops. The gallery is nationally recognized and works within the Austin community to provide a space where female artists can be recognized for their artistic work. Artist exhibitions rotate regularly, so be sure to visit to see some of Austin’s greatest art. The Thinkery is the place to go. This inventive children&apos;s mmuseum lets families connect with ideas through science, technology, engineering, art and math. The museum offers innovative exhibits, as well as new programs for children and the children at heart. Head over to the Lady Bird Johnson Wildflower Center at The University of Texas at Austin to explore the beautiful botanic garden featuring various native plants. They have programs for adults and the youth to learn about the conservation of nature and experience the beauty of the outdoors. The Harry Ransom Center, a free library and archive on the University of Texas campus, lets you view rarities like the Gutenberg Bible and the world&apos;s first photograph year-round as well as rotating and traveling exhibits such as the upcoming Ed Ruscha: Archaeology and Romance exhibit (on view August 11, 2018 - January 6, 2019). 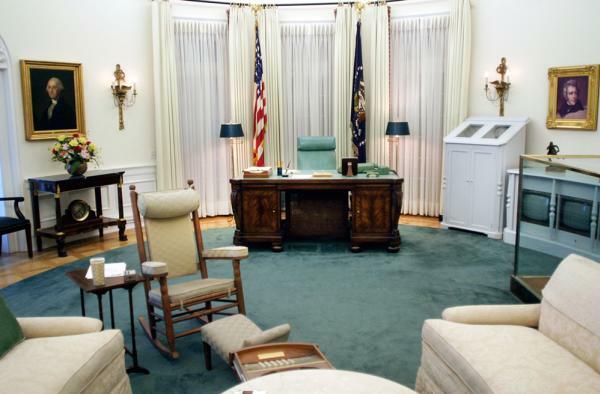 Oval Office Exhibit. Credit LBJ Library, photo by Gary Phelps. The Lyndon Baines Johnson Presidential Library & Museum is another can&apos;t-miss, with interactive exhibits, three high-tech theaters and displays of rare documents that explore the legislative process and key moments in the life of the Central Texas native and 36th president. The Texas State Capitol is a must-see, with over 22 acres to explore and more than 17 monuments, stunning historical buildings, and beautiful landscaped trees and lawns to see. It’s no surprise it’s one of the nation’s most distinguished state capitols and a designated National Historic Landmark since 1986. The Bullock Texas State History Museum features three floors of engaging exhibits that tell the story of Texas. Here, you can catch an IMAX film, or tour the exhibits and grab a Texas-themed souvenir at the gift shop to remember it by. Contributed by Rowen Gregorcyk-Landrey, ACVB Marketing Intern.